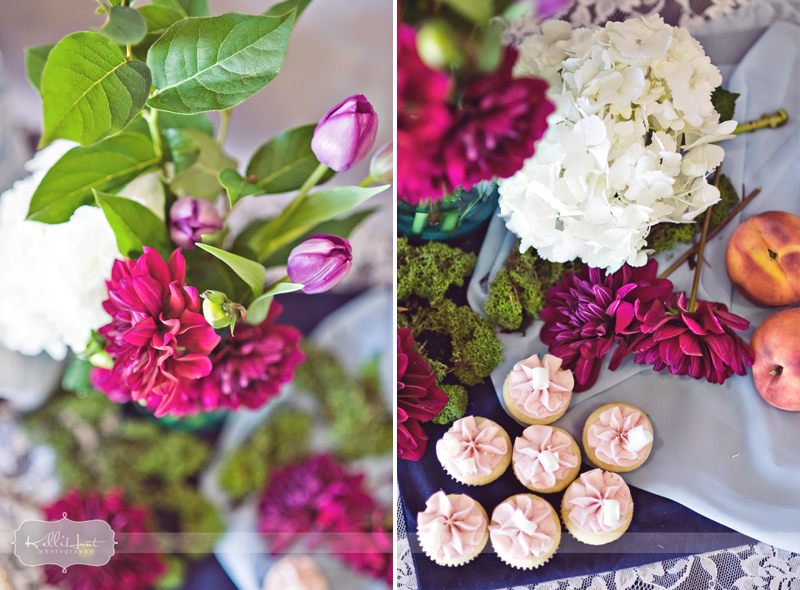 The latest photo shoot by Kelli Hunt Photography featuring Oh My Cupcakes! and flowers by yours truly (Bella Rosa of course) is a must see! 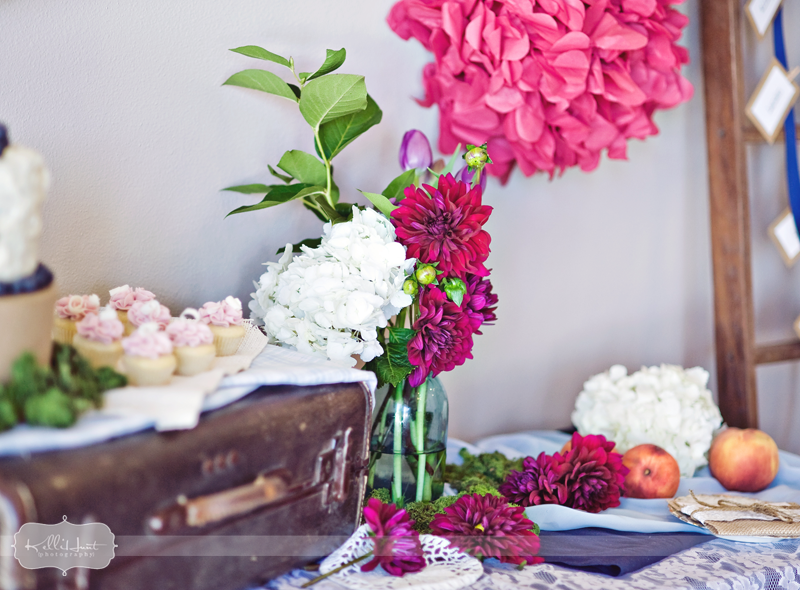 There’s nothing like a bright, spring inspired photo shoot to make a dreary South Dakota day feel sunny and warm. When picking out the flowers for this shoot, I chose to use hydrangea, dahlias, and tulips in white and stout pink to create a clean and fresh contrast. Keep in mind, when picking flowers for arrangements, you want to have variety, with not only color, but also with the style of flower used. Hydrangeas are great for helping to fill out an arrangement without a ton of cost. Dahlias are a nice, hearty flower with tons or great details with all of the petals, making it a great pair to the tall and sleek tulip. And don’t be afraid to mix up your container; by placing fresh stems in a blue mason jar, rather than a standard vase, you are able to add color and character without breaking the bank. 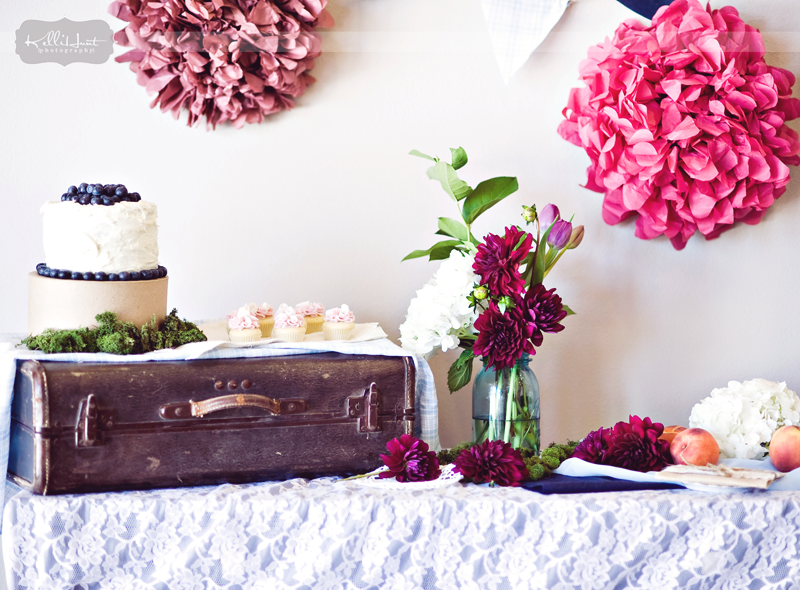 This style is great not only for weddings, but also baby showers, bridal showers or fun spring decor to brighten up your home. For more pictures from this shoot make sure to head over the KHP Blog. Posted in Home Decor, Wedding Flowers and tagged baby shower flowers, bridal shower flowers, centerpieces, color inspiration, dahlias, floral design, hydrangeas, pink flowers, pink wedding, sioux falls florist, sioux falls flowers, sioux falls wedding flowers, south dakota florist, south dakota flowers, south dakota wedding flowers, spring bouquets, tulips, white flowers.